New Oaks Farm Lodges in West Lydford sleeps 4 people, with the accommodation being lodges. New Oaks Farm Lodges are a boutique collection of modern, well-appointed lodgewhich provide the perfect country getaway. Set on a working farm in Somerset’s gentle rolling countryside and just a 20 minute drive from Glastonbury this is the ideal touring base to explore this peaceful corner of England. Historic Wells and Cheddar Gorge are within a 30 minute drive with the Mendip Hills Area of Outstanding Natural Beauty just beyond. The sandy beaches of Burnham on Sea are just one hour away. 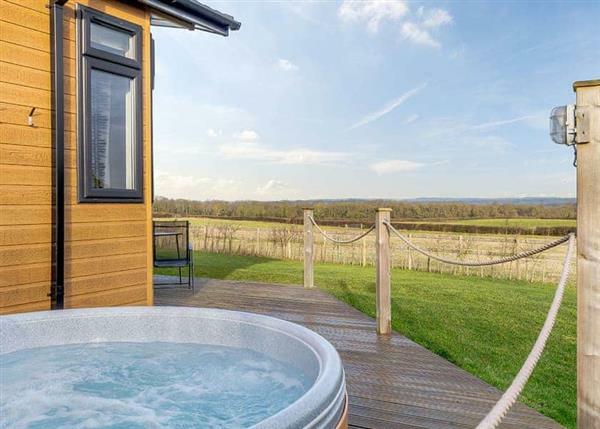 For a more relaxing day closer to home, simply lay back in your outdoor hot tub and soak in the views or call in at the local pub where you’re guaranteed a warm welcome and exceptional food and drink or take your time exploring the local villages by pathway or bridleway. However you choose to spend your days you are guaranteed a warm welcome and relaxing stay at New Oaks Farm Lodges. If you want to find out what other people have said about New Oaks Farm Lodges, read the reviews on New Oaks Farm Lodges for more information. And, for those last minute bargains, have a look at some of the special offers available at New Oaks Farm Lodges. Luxury lodge perfect for couples. One king size bed with roll top slipper bath and ensuite with double basins and walk in shower. Spacious open plan lounge/kitchen area and doors leading to patio. Decking with outdoor hot tub and garden furniture. Countryside views. "Brand new for 2016. Modern, well appointed lodge with one double with ensuite shower and one twin. Bath with overhead shower. Spacious open plan lounge/kitchen area. Doors leading out to outdoor hot tub with patio area and garden furniture. Countryside views." "Brand new for 2016. Modern, well appointed lodge with one double with ensuite shower and one twin. Bath with overhead shower. Spacious open plan kitchen/lounge area. Doors leading to patio area with garden furniture. Countryside views." 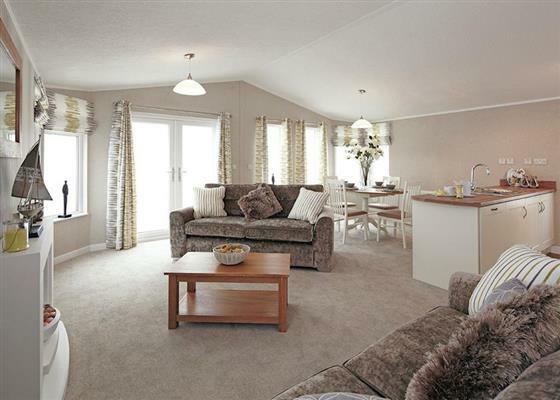 Find out about New Oaks Farm Lodges, including prices and availability. 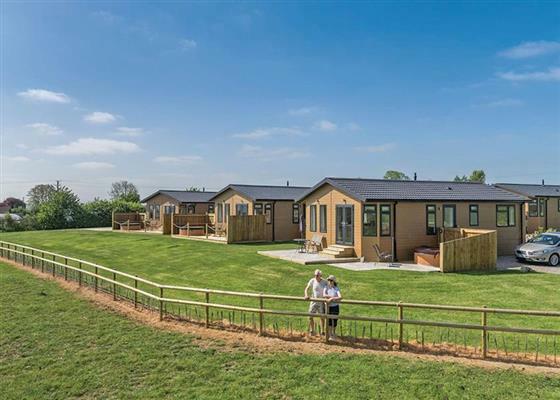 There aren't currently any special offers at New Oaks Farm Lodges however, the special offers shown below are all on parks within 30 miles of New Oaks Farm Lodges - so you may find these useful. Holiday at Luxury Woodland Pod VIP in Wiltshire starting on Saturday 27 April 2019 for 7 nights. Holiday at Country Holiday Home Four Platinum in Wiltshire starting on Saturday 27 April 2019 for 7 nights. Holiday at Country Lodge Four VIP Platinum in Wiltshire starting on Saturday 27 April 2019 for 7 nights. Holiday at Luxury Woodland Pod VIP in Wiltshire starting on Saturday 04 May 2019 for 7 nights. There are 34 holiday parks within 15 miles of New Oaks Farm Lodges. The Barn by The Lake in Brompton Regis, Somerset, and sleeps 5 people. 37 miles. The Teachers Cottage in Bath, Gloucestershire. 30 miles. The Coach House in Dulverton, Somerset. 35 miles. Ashton Mill Cottage in Steeple Ashton, Wiltshire. 28 miles. Lilac Place in Colyton, Devon, and sleeps 6 people. 30 miles. Saughtrees in Fordingbridge, Hampshire. 40 miles. Cotmarsh Cottage in Royal Wootton Bassett, Wiltshire, and sleeps 6 people. 45 miles. Mannings Mead in Bath, Avon, and sleeps 9 people. 23 miles. Longbridge Cottage in Shepton Mallet, Somerset, and sleeps 2 people. 9 miles. Weavers Corner in Evercreech, Somerset, and sleeps 5 people. 8 miles. Snowdrop Cottage in Ringwood, Hampshire, and sleeps 8 people. 38 miles. Hillview in Bridport, Dorset, and sleeps 4 people. 21 miles. 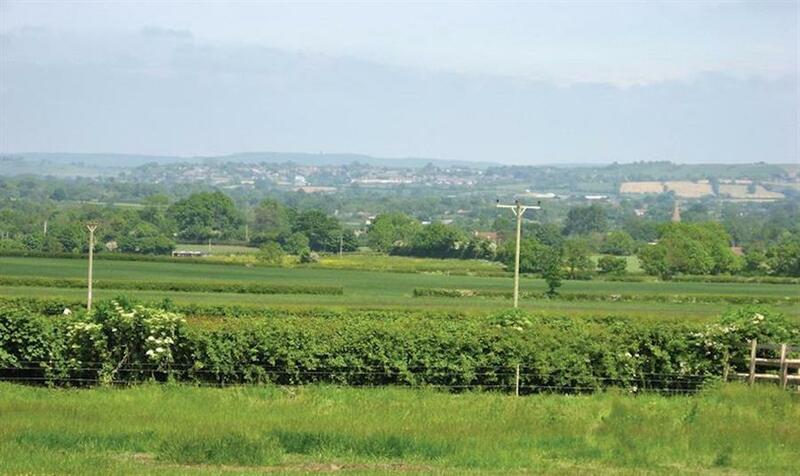 Tor View in Glastonbury, Somerset, and sleeps 5 people. 5 miles. Meadow Wood in Bishops Lydeard, Somerset, and sleeps 12 people. 25 miles. Coastguard Cottage in Wareham, Dorset, and sleeps 7 people. 36 miles. The Granary in Wickwar, Gloucestershire, and sleeps 5 people. 37 miles. Mallard Cottage in Andover, Hampshire, and sleeps 5 people. 49 miles. Newcourt Barn in Exeter, Devon, and sleeps 5 people. 41 miles. Lanreath in Fordingbridge, Hampshire, and sleeps 6 people. 40 miles. Culbone Parsonage in Porlock, Somerset, and sleeps 6 people. 46 miles. Parsonage Farm Holiday Cottages in Wootton Bassett, Wiltshire. 44 miles. Dovecote Barn in Tetbury, Gloucestershire, and sleeps 8 people. 43 miles. Canute Cottage in Portland, Dorset, and sleeps 5 people. 37 miles. Anchor Cottage in Weymouth, Dorset. 35 miles. 17th Century Castle in Clevedon, Somerset, and sleeps 16 people. 28 miles. The Reflections in Somerford Keynes, Gloucestershire. 49 miles. Marley Mount Farm in Lymington, Hampshire, and sleeps 10 people. 48 miles. Smokeacre Farm Cottage in Yeovil, Somerset, and sleeps 2 people. 8 miles. Hollyhock House in Salisbury, Wiltshire, and sleeps 6 people. 37 miles. Sexeys Farm Stable in Wareham, Dorset, and sleeps 6 people. 33 miles. Colts Close Stables in Wool, Dorset, and sleeps 4 people. 32 miles. Leam House in Portland, Dorset, and sleeps 8 people. 38 miles. Larkhall Square in Bath, Somerset, and sleeps 6 people. 25 miles. Colts Close Cottage in Wool, Dorset, and sleeps 8 people. 32 miles. Breaches Barn at West Park Farm in Fordingbridge, Hampshire, and sleeps 11 people. 36 miles. Five Bells in Axminster, Devon, and sleeps 5 people. 22 miles. Four Oaks in Christchurch, Hampshire, and sleeps 8 people. 44 miles. Comedy Stables in Malmesbury, Wiltshire, and sleeps 2 people. 40 miles. Barrowswood Lodge in Cheddar, Somerset, and sleeps 8 people. 15 miles. Durdle Door Holiday Cottages in West Lulworth, Dorset. 35 miles. Briar Cottage in Stroud, Gloucestershire, and sleeps 6 people. 48 miles. The Victorian Barn and Dairy House Farm Cottages in Blandford Forum, Dorset. 20 miles. West Park Farm in Fordingbridge, Hampshire. 36 miles. Boshill House in Lyme Regis, Dorset, and sleeps 14 people. 30 miles. Silverland in Lymington, Hampshire, and sleeps 14 people. 49 miles. Peppers Lodge in Cheddar, Somerset, and sleeps 4 people. 14 miles. Pennsylvania Castle in Portland, Dorset, and sleeps 20 people. 38 miles. Lymelight in Lyme Regis, Dorset, and sleeps 8 people. 28 miles. Harbourside Cottage in Minehead, Somerset, and sleeps 8 people. 31 miles. WhileAway Lodge in Cheddar, Somerset, and sleeps 4 people. 14 miles. Quakers in Membury, Devon, and sleeps 4 people. 25 miles. The Wookey House in Wells, Somerset. 11 miles. Dippers Folly at Jeffries Mill Cottages in Frome, Somerset, and sleeps 4 people. 18 miles. Nuthatch in Somerford Keynes, Cirencester, and sleeps 10 people. 49 miles. Stourcliffe House in Bournemouth, Dorset, and sleeps 11 people. 43 miles. Puckhams in Stoke Abbott, Dorset. 20 miles. Quay House in Christchurch, Dorset, and sleeps 12 people. 44 miles. The Linhay at East Dunster Deer Farm in Tiverton, Devon, and sleeps 12 people. 43 miles. Fossilers Lodge in Lyme Regis, Dorset, and sleeps 8 people. 28 miles. Bucks Cottage in Glastonbury, Somerset, and sleeps 12 people. 2 miles. The Piglet in Sidbury, Devon, and sleeps 2 people. 35 miles. The Old Reading Room in Langton Herring, Dorset, and sleeps 5 people. 30 miles. Advantage Point in West Lulworth, Dorset, and sleeps 10 people. 35 miles. Commodores Penthouse Suite in Portland, Dorset, and sleeps 8 people. 36 miles. Castle Hill House in Sidbury, Devon, and sleeps 12 people. 36 miles. Huxham View in Exeter, Devon, and sleeps 16 people. 44 miles. The Skilling in Bridport, Dorset, and sleeps 13 people. 25 miles.